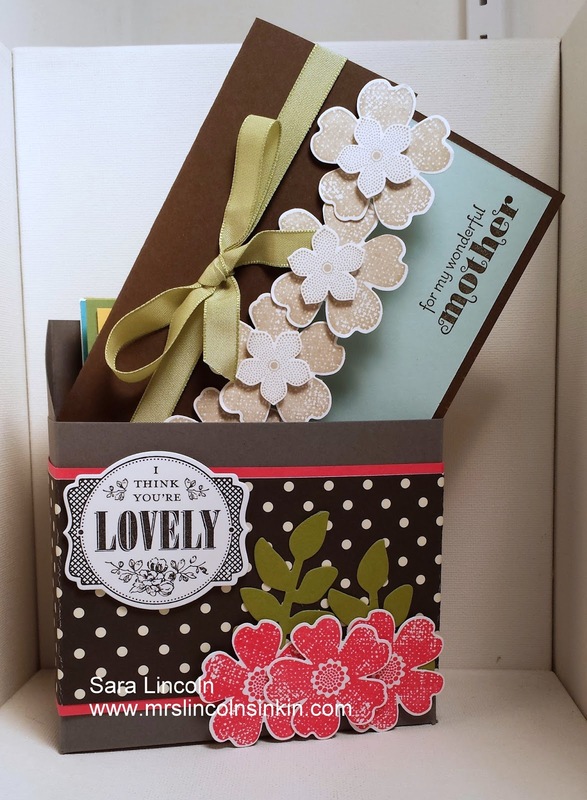 Today brings us to a close to our Color Coach Week and what way to end it then with a video of a box which can hold all of our awesome cards that you have made through the week with the Color Coach! What did you think of this week having a theme? Did you like that all of the projects were using the same thing? 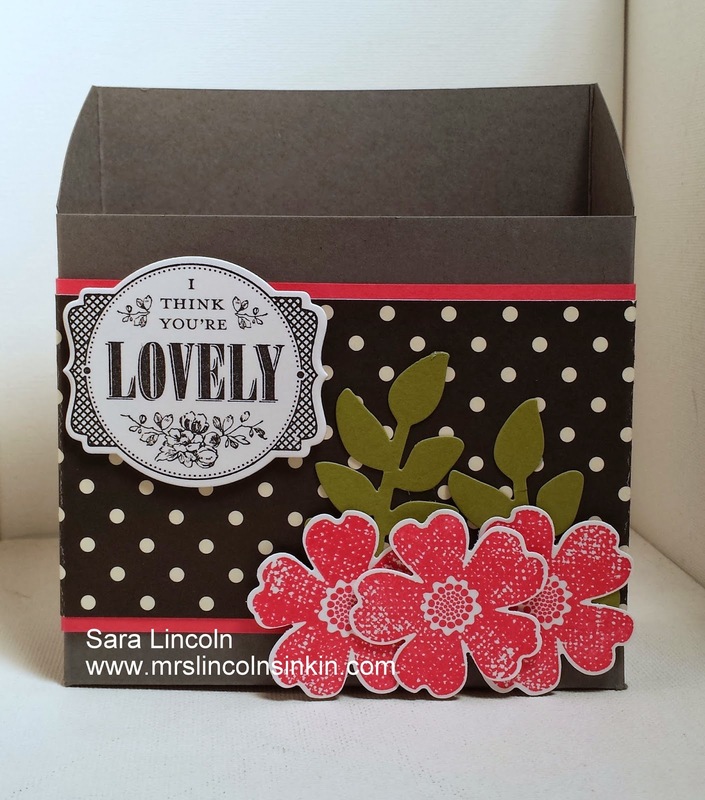 This is an awesome 3D box that can be used for so many things. Since making one of these for the first time i have about a dozen around my craft room holding different things. You can fit quite a few cards in this too.. of course depending on how much embelishments you use. I have 4 cards in this one and i have room for more. I better get craftin', lol. Isn't that awesome? Oh how i love 3D projects!! 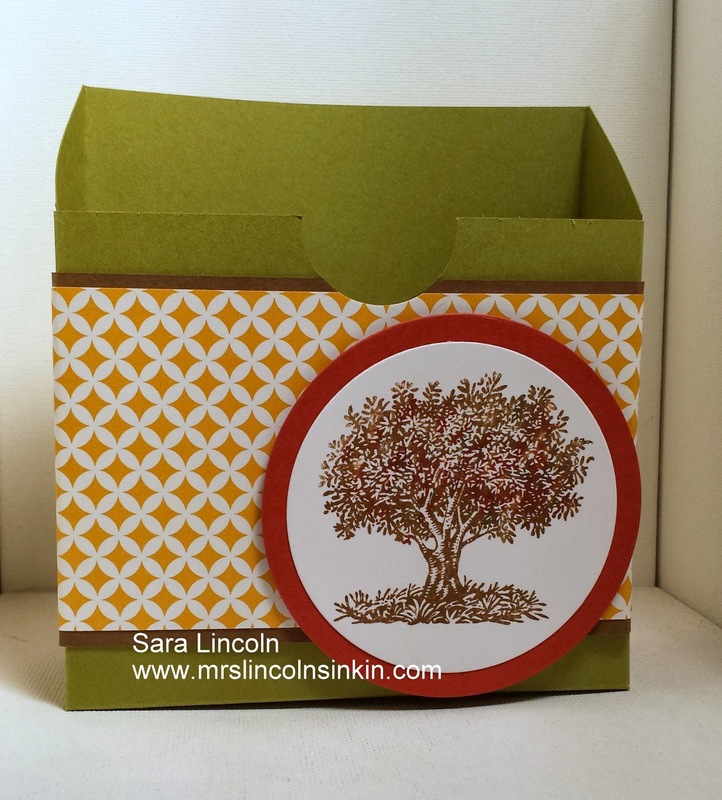 Here is a closer look at the box that i showed you at the beginning of the video along with a short supply list of what i used. 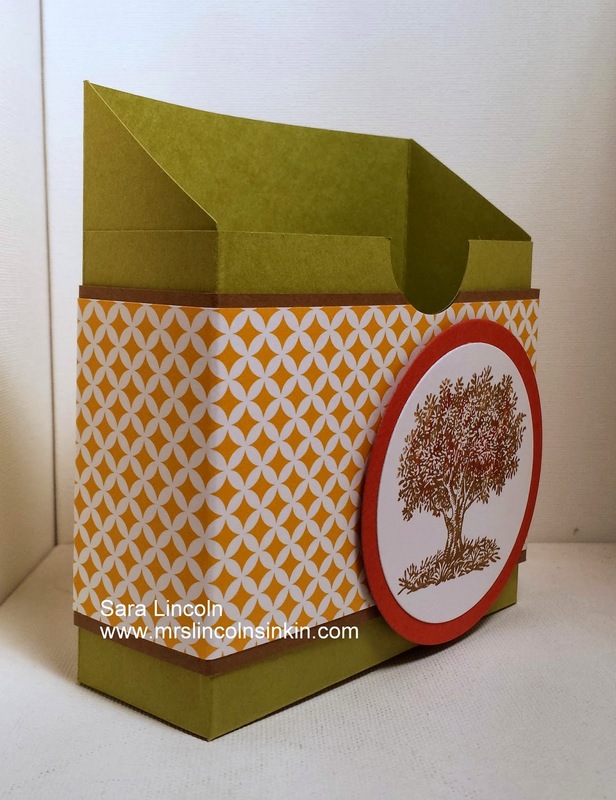 For this project i used Old Olive, Eastern Elegance DSP and Soft Suede for my paper. My inks were Soft Suede and my Cajun Craze Marker. The stamp is from the set Look Up To Father, it's an awesome set that you can get from the Occasions Mini. It is also the stamp set that i am showcasing today. It's a single stamp that you can get in wood-mount only.